There are so many ways for teens to communicate today - email, texting, facebook and now Tinder. Tinder is a new dating app that creates a collection of Facebook photos that it shows to other interested parties in the area. One of the best parts of Tinder is the local feature which means all the people who are interested in you are in your area. Teens love Tinder for a number of reasons. First, is the instant gratification that it gives. How the apps works: a picture of someone pops up and the user has the option of clicking on a green button and if they don't like what they see they hit an X. The average teen is thrilled to find out who thinks they are hot. Tinder only gives the good news. If people see the pictures and hit the X the teen never knows about it. Second is the no rejections part. A teen does not know when someone hits the X button. It is like taking a test knowing you can't fail. That is a pretty strong incentive for teens to keep coming back. Third, when you know someone thinks your pretty or handsome you can make arrangements to meet. Hooking up is what it is all about with this app. The distance of matches can be set so teens can find out who finds them attractive in their own neighborhood. The boy down the street thinks I'm cute! or The girl in my history class thinks I'm hot. Are there issues with all of this? Oh yes. Parents of teens need to be aware of the many pitfalls that can happen when their child is meeting people on Tinder. If a teenager has matches that show mutual attraction based on physical attributes only the next step is to meet in person. Does any parent want their child meeting up with someone just because they thought the pictures of them were attractive? Especially someone they meet on a site that is promoted as a great one night stand app. Even the most careful users of any app can hit the wrong key once in a while. What if your child was thinking X but hit the green button instead. The other party now believes that there is a mutual attraction between the two of them. Remember these matches are all local. This person is not half way across the country. Online predators are an issue on any social media and this one will be no exception. With photos from facebook on the site an online predator would have very little trouble determining the hang out spots of the teen they were after. 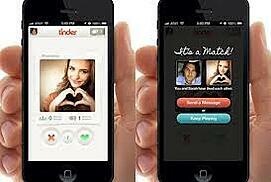 There are some ways to try and control your teens privacy while using Tinder. The first thing to remember is that sign up is through Facebook. This gives the app full access to your profile. Be sure you know what Facebook is sharing before you just jump on. The next issue is that to use this app the user must enable location tracking. This means it always know where the user is and so do other users of the app who are nearby. This can be a problem when recently the app exposed users locations in a security problem. The problem was fixed quickly according to Tinder but it did happen. While the app stopped giving the exact coordinates of other users it will still give another person your exact distance from them. The question parents need to ask is would you want your child using an app that can see their name, date of birth and location? Every parent wants to know their child is safe from online predators. Social network monitoring could be the answer parents are looking for. Social network monitoring is a safety precaution many parents take to insure their child is safe from online predators. The way to keep them safe is by knowing what they are doing online and who they are doing it with. A parent can check all Facebook, Instagram and Twitter accounts of their children on a daily basis to determine if there is a problem. 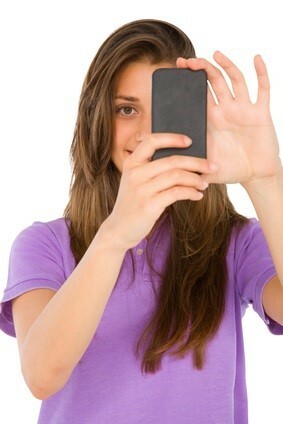 Social network monitoring sites can also help you track what your child is doing with their smartphone. It can help you monitor text messages, images, applications and location history for the phone. This can be a very useful tool in keeping your child safe. Online predators are a constant threat to teens and children in today's online world. Social network monitoring along with mobile app monitoring can be a great way to allow your teen the fun of Tinder while still keeping them safe from online predators.